Seán Doherty was introduced to music through the Irish fiddle tradition of his hometown of Derry. He read music at St John’s College, Cambridge, after which he completed a PhD in musicology at Trinity College, University of Dublin. He is now a lecturer in music in Dublin City University. 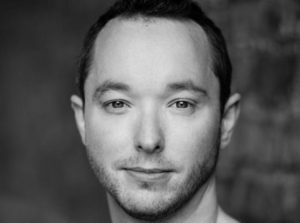 He is active as a choral singer, singing with the internationally acclaimed New Dublin Voices, conducted by Bernie Sherlock. Doherty’s choral works have garnered numerous awards: he has won the Feis Ceoil choral composition award four times (2009, 2011, 2014, 2016), the Choir and Organ Magazine composition competition twice (2012, 2014), the St Giles’s Cathedral Edinburgh anthem composition competition, the Fragments Choral Composition Award (in association with Historic Scotland), and the Prix pour une œuvre de création at the international choral festival Florilège Vocal de Tours, France. His choral works have been performed by choirs including the choir of Merton College, Oxford, the choir of Salisbury Cathedral, the National Youth Choir of Scotland, the choir of St Giles’ Cathedral, Edinburgh, Chicago a cappella, the Grant Park Chorus, Chicago, Laetare Vocal Ensemble, Voci nuove, the Mornington Singers, and New Dublin Voices. Doherty has also written much chamber music: he has twice been awarded the Young Composers’ Bursary at the West Cork Chamber Music Festival (2013, 2014), the Jerome Hynes composition competition (2011), was a finalist in the BBC Radio 3 / National Centre for Early Music’s Composers’ Award 2013. He was commissioned by the Vanbrugh Quartet to compose his String Quartet No. 3, ‘The Devil’s Dream’ for their Crossings Project, by the West Cork Chamber Music Festival to compose Lament for the Poets 1916 for the Vanbrugh Quartet and soprano Caroline Melzer, and by the Estovest Festival to compose No Go for Xenia Ensemble and uilleann piper Eoin O’Riabhaigh. In 2012 he was commissioned by the Legacy Trust UK to compose a chamber opera, Number Seven, for the Cultural Olympiad, part of the 2012 London Olympics, in collaboration with author Carlo Gébler. In 2015, he was selected for the ‘Adopt a Composer’ programme—in association with Making Music, PRS for Music, Sound and Music, and BBC Radio 3—for which he composed Hive Mind, premiered at the Barbican Centre, London by the Kensington Symphony Orchestra. Seán is a member of the Irish Composers’ Collective, the Association of Irish Composers, and is represented by the Contemporary Music Centre, Ireland. In 2012 Elaine Agnew’s BBC Proms Commission Dark Hedges was premiered by the Ulster Youth Orchestra, the Ulster Orchestra and flautist Sir James Galway in London’s Royal Albert Hall, one reviewer describing it as ‘compelling from beginning to end’. Elaine’s many works have been performed and commissioned worldwide by artists such as the Škampa and Vogler Quartets, RTÉ National Symphony and Irish Chamber Orchestras, the Kaunas Chamber Choir and pianists Angela Hewitt and Romain Discharges and have featured at major festivals including the BBC London Proms, EXPO 2000, the Slovenian Unicum Festival, London Spitalfields and BMIC Cutting Edge and in many world-class venues: the Carnegie, Wigmore and Royal Albert Halls, the JF Kennedy Centre and the Konzerthaus Berlin. Recent performances include Seagull by pianist Kate Boyd in New York’s Carnegie Hall and Strings A-stray by the RTÉ Concert Orchestra and the Australian Monash University Sinfonia. Current commissions includes choral works for the Carlow- based Aspiro Youth Ensembles, the combined forces of RTÉ Cór Linn and RTÉ Cór na nÓg and An Island Sings for massed adult community choirs, co- commissioned by the Association of Irish Choirs, Chamber Choir Ireland and Poetry Ireland. An opera Safe Harbour commissioned by Music for Galway will celebrate the 700th anniversary of St Nicholas’ Collegiate Church as part of Galway 2020 Capital of Culture and a new song cycle for soprano Carolyn Dobbin and pianist Iain Burnside will be recorded for Delphian records. Many of Elaine’s works have been commercially released. She was appointed as the first RTÉ lyric fm Composer-in-Residence in 2008 and her two commissioned Christmas carols have been released on Lyric fm’s Choirs for Christmas CD. Christmas Day is published by Boosey & Hawkes. As a renowned facilitator, Elaine is highly experienced in enthusing participation of all ages in collective music-making and is much in demand for her creative and innovative work. 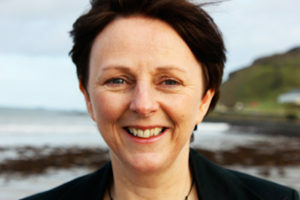 She has directed many major education and community projects throughout Ireland and the UK. Elaine studied composition at Queen’s University Belfast with Kevin Volans and at the Royal Conservatoire of Scotland with James MacMillan and is a member of Aosdána, Ireland’s state-sponsored body of creative artists.